The city of Toronto has been rated among the top cities to live in 2018. It is all because of the law and order situation as well as the multiculturalism that has been embedded within the city urbanism. The city is alive and vibrant and therefore it is highly regarded by the immigrants as well. Demographics of Toronto show that the city welcomes the ethnic and minority groups from all over the world. From Chinatown to Little Jamaica the city has several sections which clearly show that the immigrants in the city are more than the indigenous ones. The city is highly influenced by the cultures from all over the world. The CIA factbook and the reports published by the IMF and World Bank regard the city as the financial hub of the world. The political management of the city allows fostering every activity which takes the Toronto to new heights. 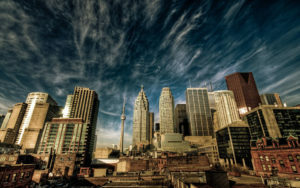 Toronto is located in Ontario and has an estimated population of 2.7+ million. The 51% of the population of the city comprises of the immigrants from the other countries which also makes Toronto one of the most culturally diverse cities of the world. The population of the city has visibly increased over last 150 years. The fact that is to be noted is that there are certain areas where the population is actually decreasing with the passage of time same as in Canada overall. It has led some to speculate that the increase in immigration to Canada should be encouraged. The greatest increase in population was during 1834 to 1901 which was 2400+%. The second highest increase was recorded in 1931 which was 250%. The best part of Toronto is that the population of the city comprises of immigrants and they make the most portion of the population. As per the Census of Canada department, about 51% population of Canada comprises of immigrants which have settled here from the different parts of the world. From Jamaica to Portugal the immigrants have settled here to take the active part in the city’s prosperity. The largest population of immigrants has settled here from South Asia followed by Chinese, Black, and Filipinos. The respective population percentage is 12%, 11%, 9% and 5.7%. The immigrants are also increasing in number and the largest recorded change is in Filipino population with a total variation of 0.6%. The White and South East Asian minorities have decreased over the course of time. The Roman Catholics comprise the largest religious group in Canada. The immigrants have also influenced the religious culture of the city. One can easily see different worship places in the city from mosques to synagogues the people of the city believe in interfaith harmony which makes it one of the best cities to live in 2018. The second largest religious community in the city is Islam. The most important fact that is to be noted is that the Ahmadiyya Community is regarded as out of the fold of Islam so should never be considered as Muslims and must never be included in the overall population of the Muslim community.